Is Howard Hughes Corp (HHC) A Good Stock To Buy? Hedge Funds and other institutional investors have just completed filing their 13Fs with the Securities and Exchange Commission, revealing their equity portfolios as of the end of September. At Insider Monkey, we follow over 700 of the best-performing investors and by analyzing their 13F filings, we can determine the stocks that they are collectively bullish on. 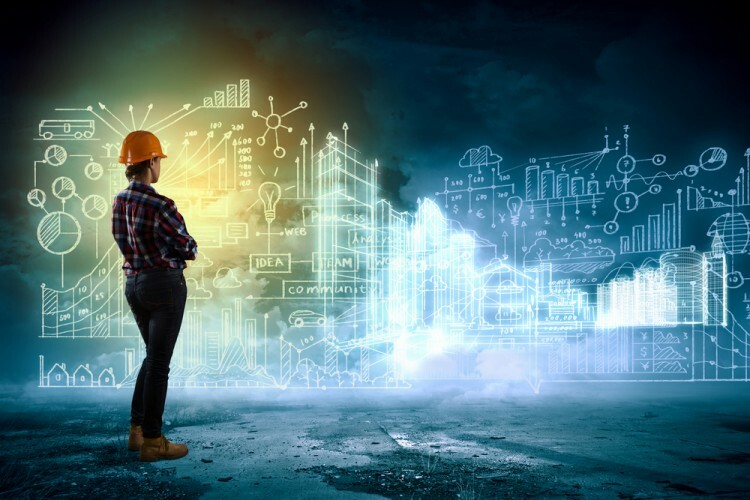 One of their picks is Howard Hughes Corp (NYSE:HHC), so let’s take a closer look at the sentiment that surrounds it in the current quarter. Howard Hughes Corp (NYSE:HHC) shareholders have witnessed a decrease in activity from the world’s largest hedge funds in recent months. 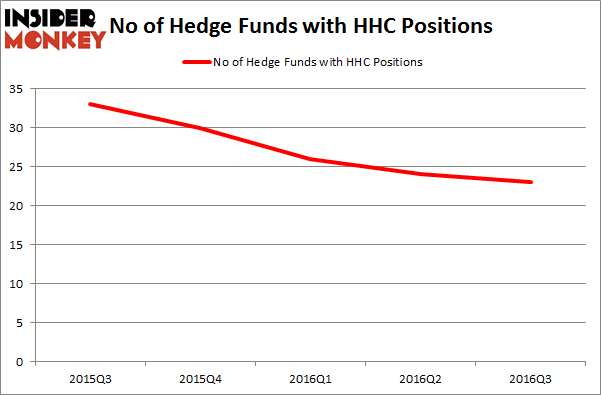 HHC was in 23 hedge funds’ portfolios at the end of the third quarter of 2016. There were 24 hedge funds in our database with HHC positions at the end of the previous quarter. The level and the change in hedge fund popularity aren’t the only variables you need to analyze to decipher hedge funds’ perspectives. A stock may witness a boost in popularity but it may still be less popular than similarly priced stocks. That’s why at the end of this article we will examine companies such as Endurance Specialty Holdings Ltd. (NYSE:ENH), Randgold Resources Ltd. (ADR) (NASDAQ:GOLD), and HEICO Corporation (NYSE:HEI) to gather more data points. How have hedgies been trading Howard Hughes Corp (NYSE:HHC)? At the end of the third quarter, a total of 23 of the hedge funds tracked by Insider Monkey were bullish on this stock, a drop of 4% from one quarter earlier, which represents the fourth straight quarter that hedge fund ownership of HHC has dropped. With hedgies’ positions undergoing their usual ebb and flow, there exists a select group of notable hedge fund managers who were boosting their holdings significantly (or already accumulated large positions). According to publicly available hedge fund and institutional investor holdings data compiled by Insider Monkey, Pershing Square, managed by Bill Ackman, holds the most valuable position in Howard Hughes Corp (NYSE:HHC). According to regulatory filings, the fund has a $408.5 million position in the stock, comprising 7.5% of its 13F portfolio. Coming in second is Horizon Asset Management, run by Murray Stahl, which holds a $389 million position; the fund has 10.9% of its 13F portfolio invested in the stock. Remaining professional money managers with similar optimism include Amy Minella’s Cardinal Capital, Joshua Kaufman and Craig Nerenberg’s Brenner West Capital Partners, and Jane Mendillo’s Harvard Management Co.